Writing on a computer is awful. Without discipline – in my case, at least – an effort to get out 1,000 words of non-fiction usually ends up consisting of thirty minutes of web browsing before writing, intermittent Facebook trips while tapping out a few hundred words, and a nice jaunt through Hacker News at the 750 word mark. I get the job done, but I know my brain isn’t doing its best work. So what’s the solution? I’ve tried all of the distraction-free tools – OmmWriter, Scrivener and I even bought an Alphasmart NEO to pull myself away from the computer. None of them really worked. Then I got my hands on the Freewrite and found some real freedom. The Freewrite looks like a little piece of hipster paradise. It is a mechanical keyboard connected to an E-ink screen and it has two honking big mechanical switches and a big, jolly power button. You have three draft “folders” – selected by the left arrow crank – and you can connect to Wi-Fi and upload your drafts to Freewrite’s service or almost any other file storage solution including Google Drive and Dropbox. There are no arrow keys and the assumption is that you turn it on, select a draft and start writing. A small window under the main editing window shows the time, the time elapsed, or word count. 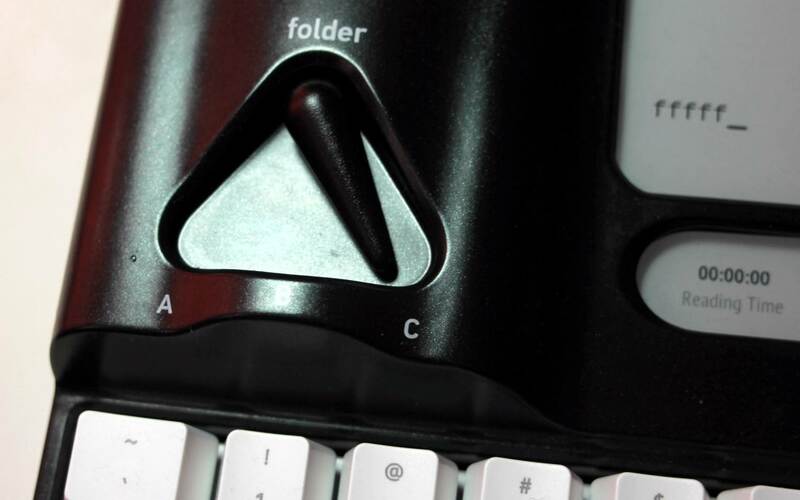 It has a massive, clicky mechanical keyboard and it’s designed specifically for writing. Your text appears on a fast-refreshing E-ink screen. It lasts a few weeks on one charge via USB-C. It may look like a toy but the Freewrite is a serious writing machine. The fact that it is specifically designed to wean you off of distractions is massively important as a writer and I was able to begin a project quickly and I could foresee myself finishing a novel on this thing without much trouble and with a great deal of pleasure. The Freewrite enables a certain kind of, shall we say, violent writing. Because it has no filters your words can come out as a torrent. However, for serious writing you need to edit as you puke words onto the page. This is impossible with the Freewrite. It is designed primarily for the word excretion process and has no editing features. What you end up with is good if unedited copy, a simulacrum of what you used to get with a regular paper typewriter. In fact that’s exactly what they’re going for with the Freewrite’s hefty design. 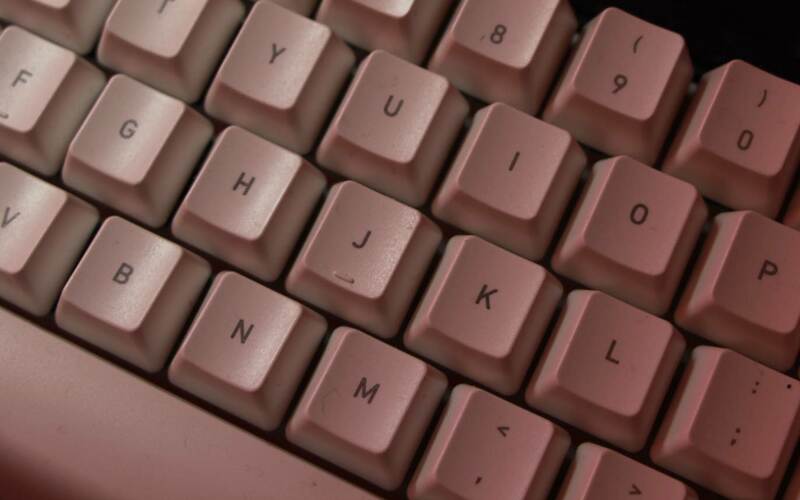 It is a piece of machinery, something less evanescent than a MacBook Air, and the mechanical keyboard offers just the right amount of clickiness to make you remember that you are writing, not putzing on Twitter. It’s a strange feeling to use a dedicated piece of hardware to write but it’s a welcome one. But we moved away from typewriters for a reason. Using computers gives you better, more readable copy faster, which is not a benefit if you’re trying to get your Zombie-fied satire of Remembrance of Things Past out the door before the end of NaNoWriMo but great if you’re trying to write a history paper or non-fiction tome. In that case, unless you have a powerful sense of the entire arc of your story, the Freewrite hobbles more than helps. The Freewrite is also very big. It is 9×12 inches and about three inches thick – far bigger than any modern laptop. You can’t put this into your laptop bag with your laptop. You have to choose. Thankfully it has a big handle on the back so you can lug it from cafe to cafe. What’s the bottom line? I could see myself writing a novel on one of these things. I actually did start one and found that the writing was more succinct and focused, a true benefit in an era of distractions. I wrote a bit of a horror novel on the Freewrite just to try it out and I found the lack of editing features quite freeing. I was able to scroll back and check on character facts as necessary but instead of skipping around I wrote in a sort of daze, one word in front of the other, until I hit my goal. It felt good. You’ll notice plenty of typos, however, and a few errors. The Freewrite assumes always that you will edit somewhere else. Am I enough of a fan to abandon a computer for a Freewrite? Not completely, but it’s definitely a tool I would incorporate into my daily writing habit. The Freewrite costs $499. For that price you could buy a cheap computer or 40 nice notebooks. The decision you’re making when you bring the Freewrite into your writing life is whether or not you need – absolutely – the ability to sit in a flow state and just let words come out onto the e-ink screen. If you think you do – and I know I do – it’s a good investment and will truly help you get words onto paper (or hard drive). If you never find yourself distracted or don’t mind being distracted while writing fiction, the Freewrite would be just a toy that will make your writing less efficient if more focused. In the end the question remains: Is your brain such a muddle that you need a standalone hardware device to keep from clicking over to Facebook? If the answer to that question is “yes” then the Freewrite is the ultimate solution to that age-old problem.